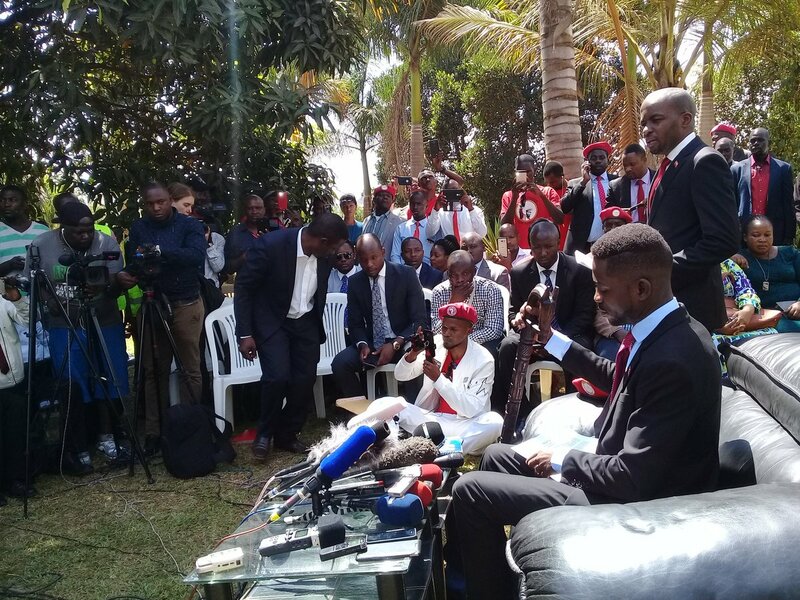 KAMPALA – Kyadondo East MP Robert Kyagulanyi alias Bobi Wine has this morning addressed the press on matters of security, torture, Police brutality at his home in Magere. The legislator returned to the country on Thursday, September 20 aboard a Kenya Airways flight in the company of former Leader of Opposition, Winnie Kiiza before being whisked away by Police to his residence in Magere. He vowed to continue the struggle of seeking change in Uganda.